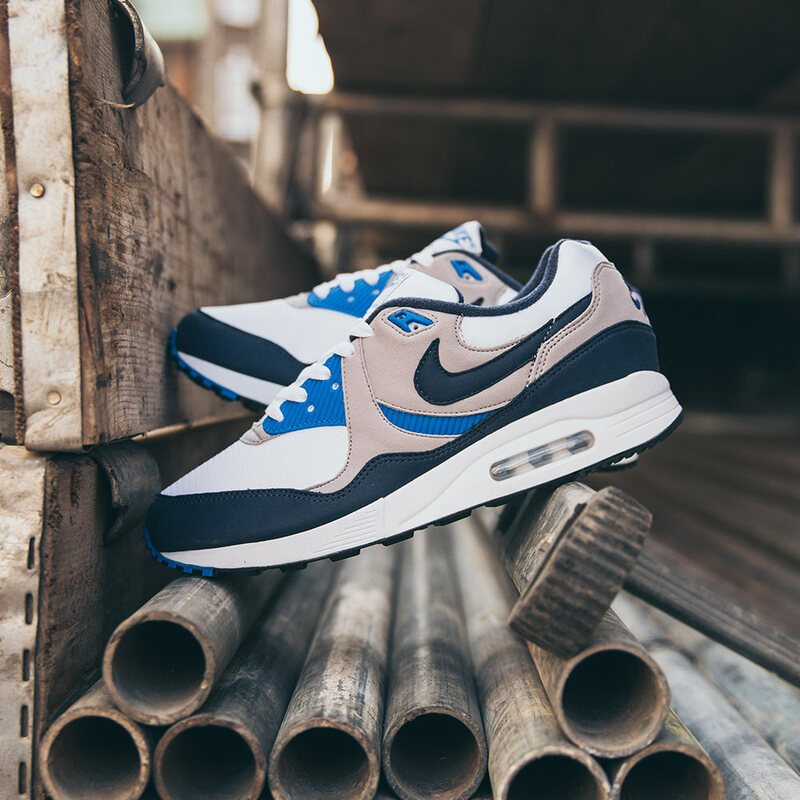 The Air Max Light was designed as an upgrade to the revolutionary Air Max 1 with a lighter construction, in particular within the air unit. The upper is constructed with several nubuck overlays, durable eye-stays as well as on then medial and lateral side of the upper for a more aggressive look as oppose to its predecessor. 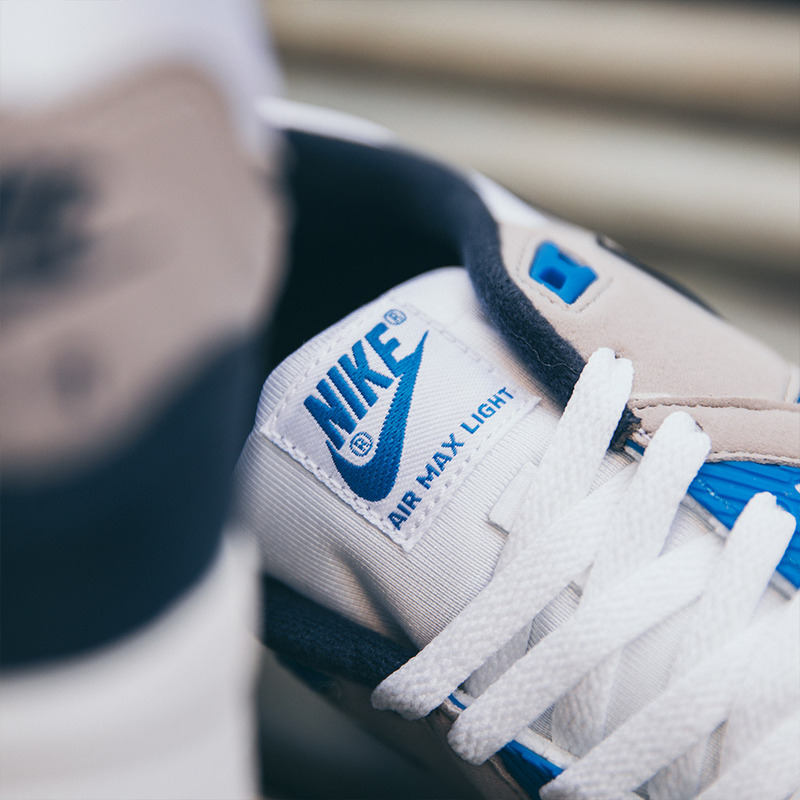 An embroidered ‘Nike Air’ logo on the heel and tongue to keep the original aesthetic and the signature swoosh completes the classic silhouette. 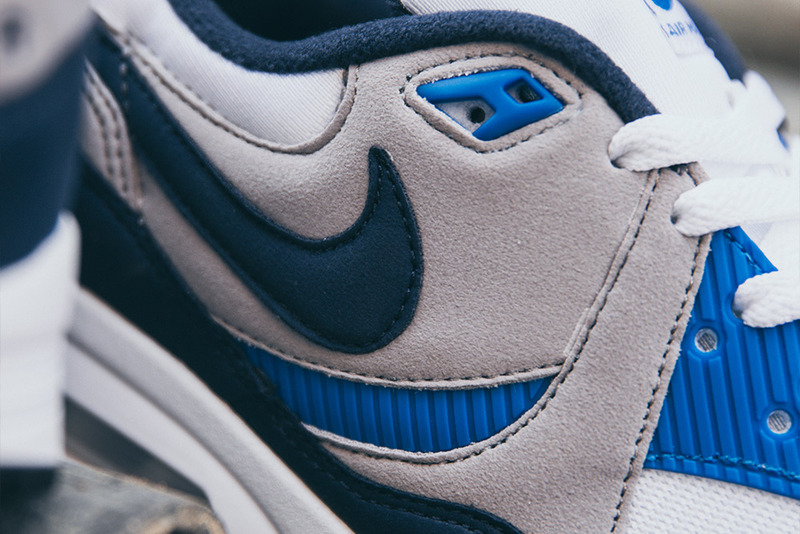 Coming off the return of the OG red, Nike look set to return the OG blue iteration. 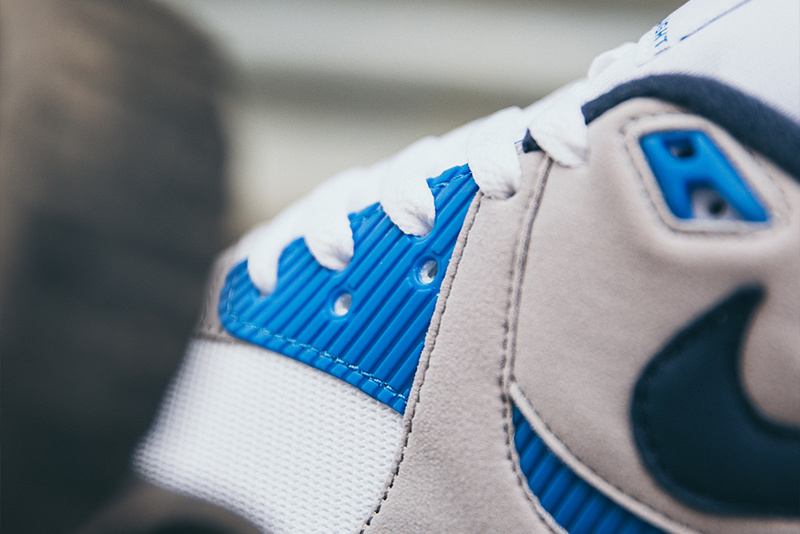 With a mixture of obsidian and light blue hues along the upper, white mesh and nylon keep a consistent original look. Atmosphere grey hits on the side panel and heel complete the upper. The midsole features a white finish with the outsole in obsidian and light blue detailing on the toe. 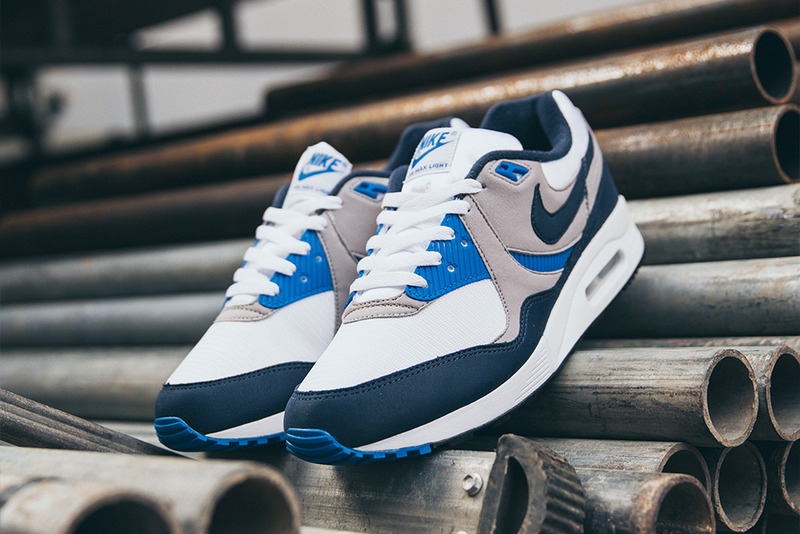 Nike Air Max Light ‘White/Obsidian’| Now available online. 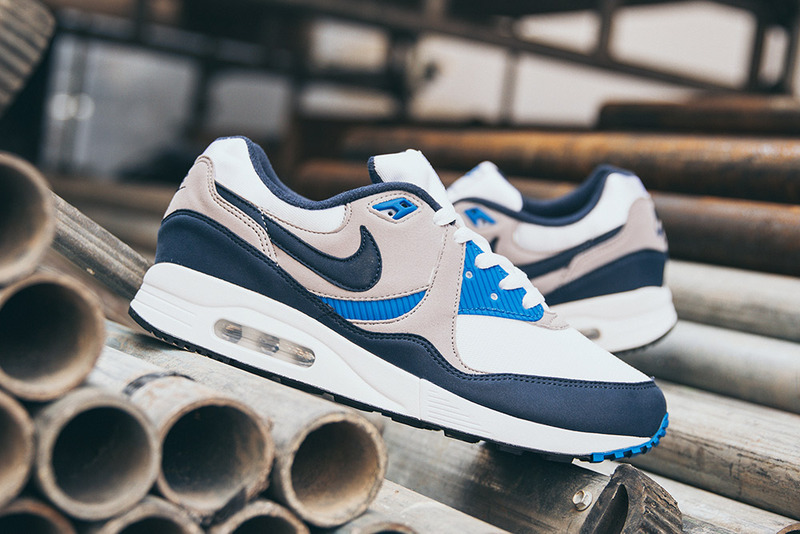 Sizes range from UK6 – UK12 (including half sizes), priced at £110.